The season of Virgo includes the lunar cycle when grapes are harvested and processed to become wine and the time when crops are reaped. After the climax of romance, pleasure, heat, rest, inspiration and power of Leo, strength is gathered to return to work and utilize, or store, the gifts and blessing that were received. This is a crucial time of attention, discrimination and care, as the quality of this labour will have decisive effects in the following autumn and winter seasons. Virgo is a zone of service and synthesis whose goal is to make tangible and objective the original Intent activated by the climax of the Sun in Leo. This process requires time, patience, mental discrimination and ceaseless release of blocks to the perception of what is meant to emerge. It is a state that often causes a sacred restlessness and anxiety in Virgo people. The level of reality they experience in their mind apparently requires major labours and activities to be manifested outside. There is absolutely no problem for Virgo to face hard work when there is clarity of Intent and adherence to one’s primal life purpose. As a matter of fact, this is what makes life ecstatic in this realm. Yet, when there is disconnection from the Intent, existence can be very unpleasant, wearisome, and miserable. 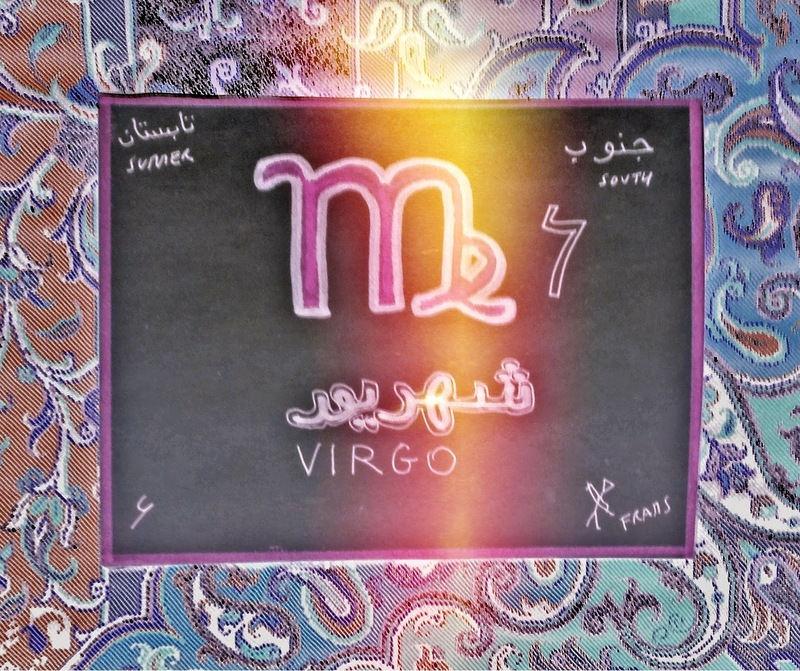 Then the qualities of Virgo turn against others or oneself, rather than being used for their higher service. Virgo holds the structural awareness of the distribution of the soul’s fragmented pieces as they can be represented in the physical realm. As a result, this sign has the spontaneous capacity to identify connections and thus operate with a pragmatic service and healing spirit. Virgo is very analytical, yet its attitude is practical rather than intellectual. The purpose is to put everything in its right place so that it can be acknowledged and found. This allows whatever is needed to be at hand. Virgo’s concern is to make sure that everyone has its own allocation in the wide network. In this context there is a deeper quality, which is that of finding out what is the authentic nature of all that is perceived and its connection to the original unity. Virgo considers the essential purpose of each part and how it can contribute to the whole by expressing its true nature and function. All the signs of the zodiac represent the main fragmented parts of the original unity. The Intention and its connection with our core multidimensional identity, the self beyond the separated ego, constitutes the magnetic board that allow each part of the puzzle to find its place in the larger picture.